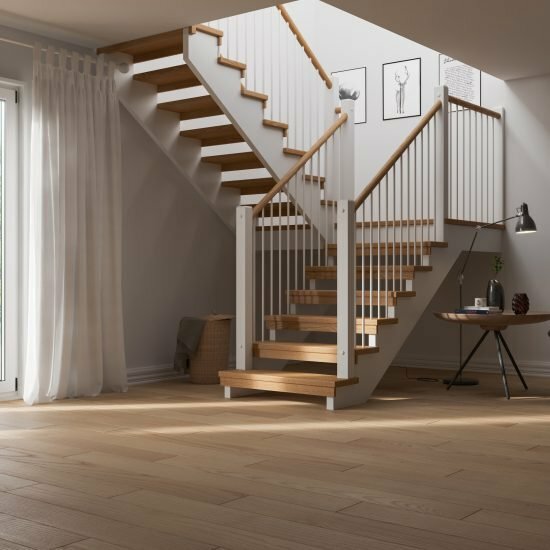 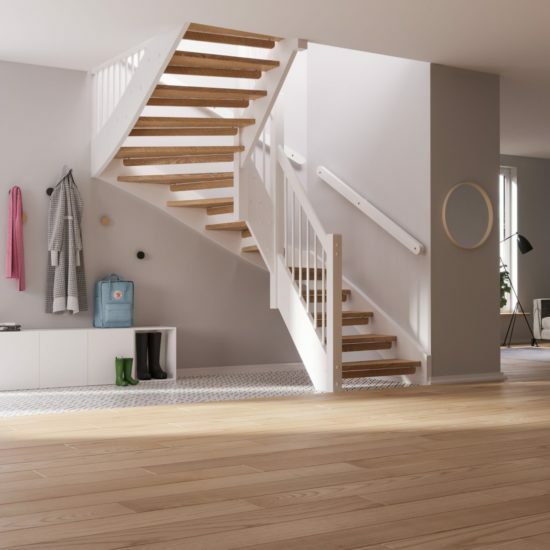 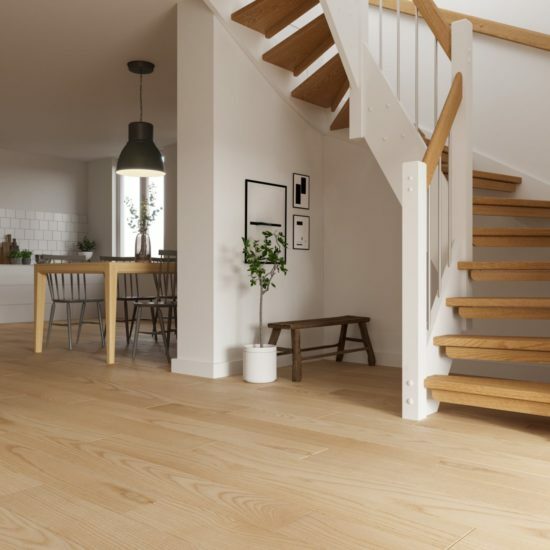 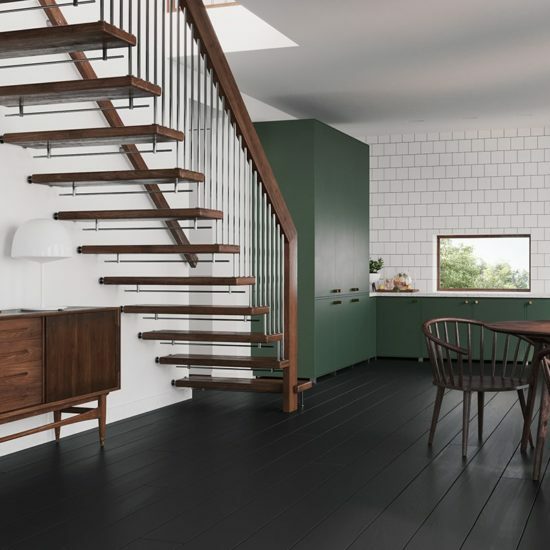 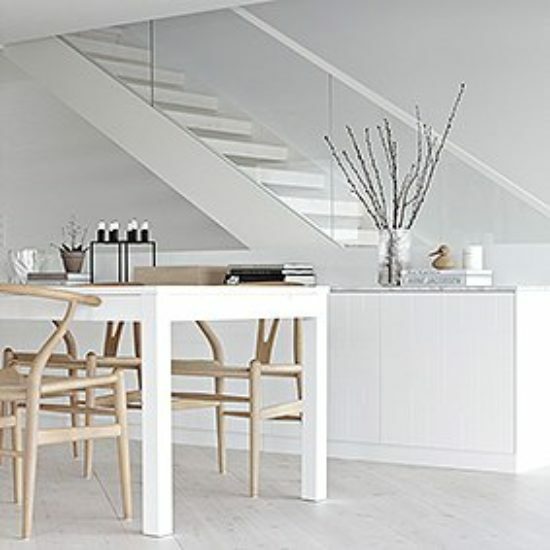 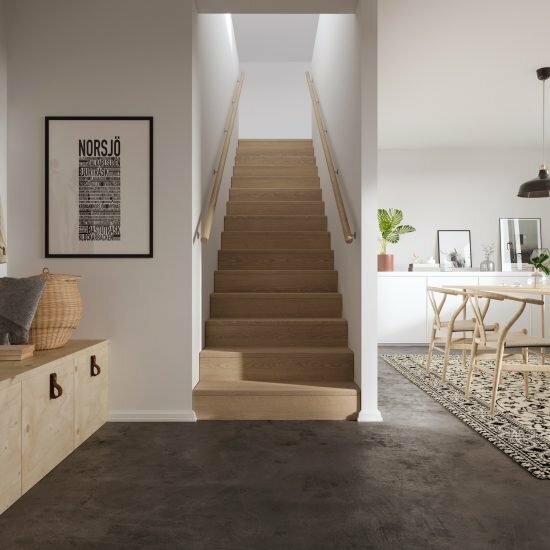 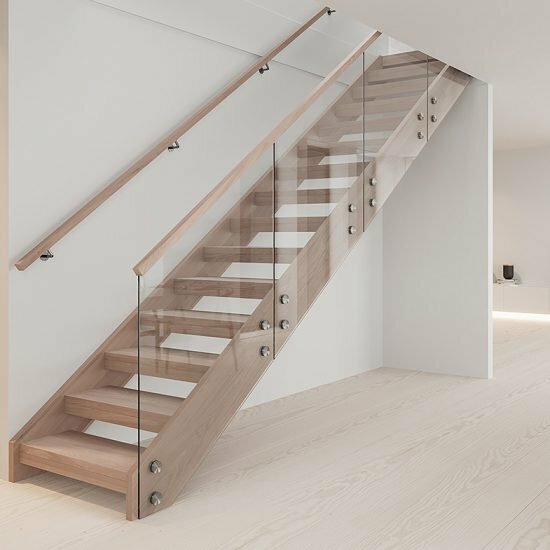 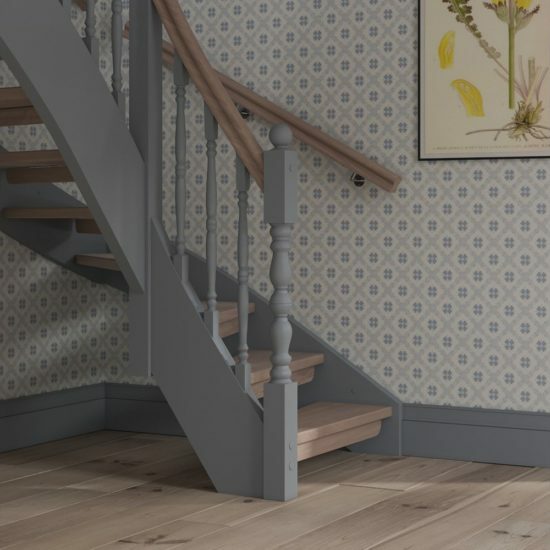 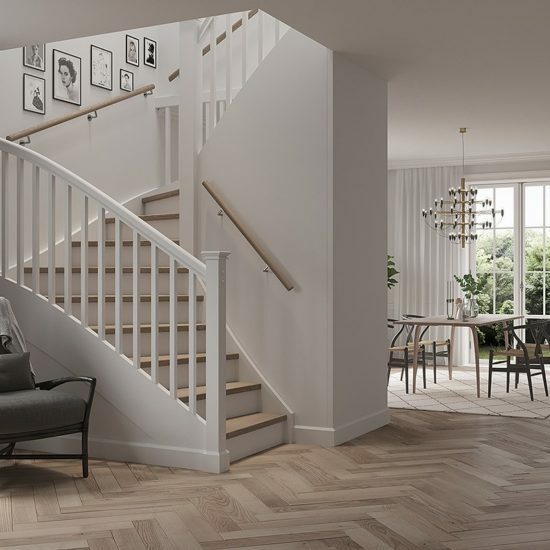 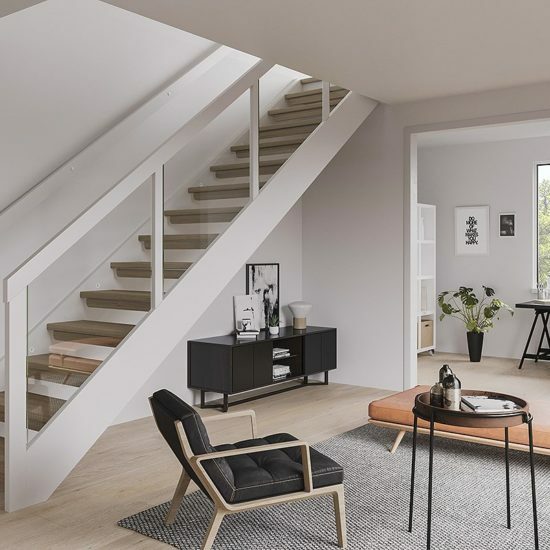 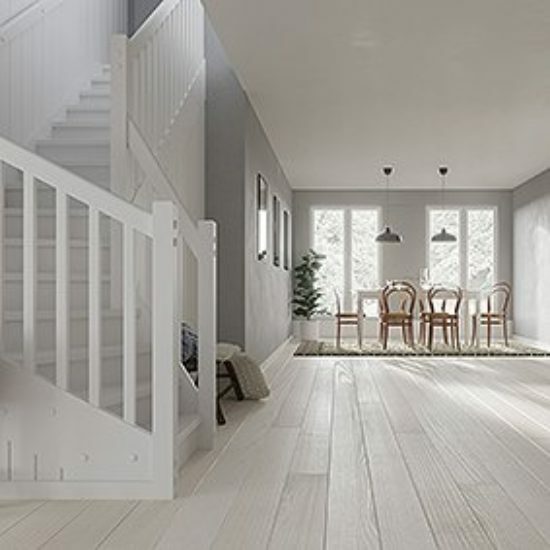 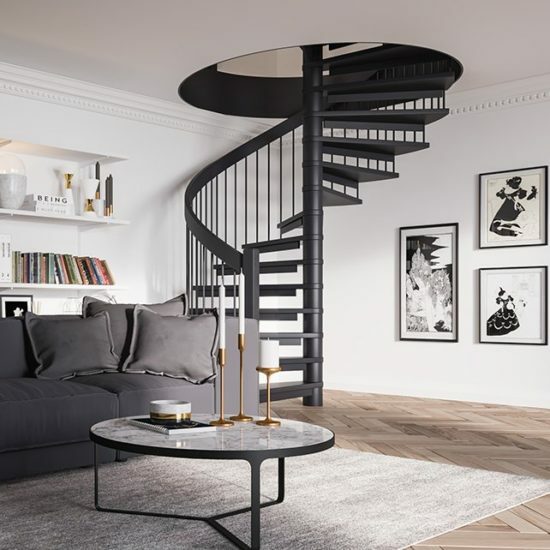 We offer the widest assortment of wooden stairs on the market with everything from simpler staircases to completely customised and exclusive solutions. 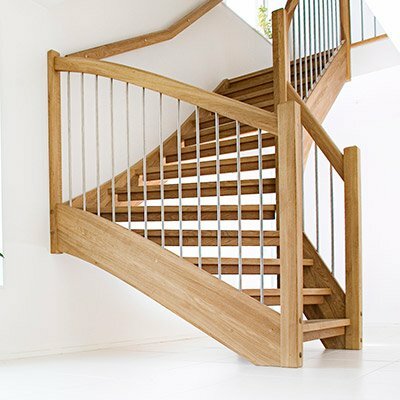 Our indoor stairs are build with a tradition of genuine craftsmanship with top quality in every step of the process. 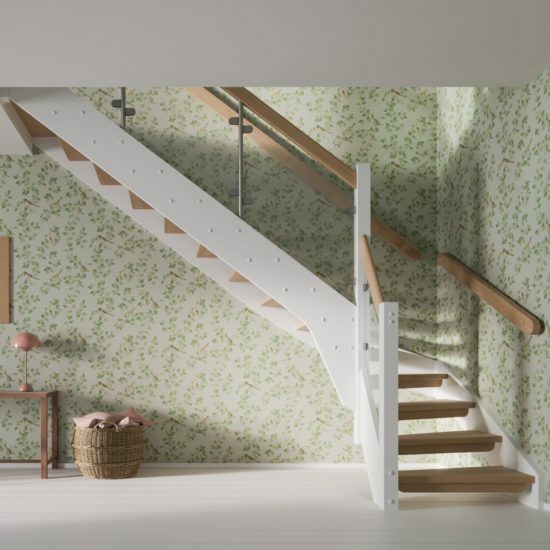 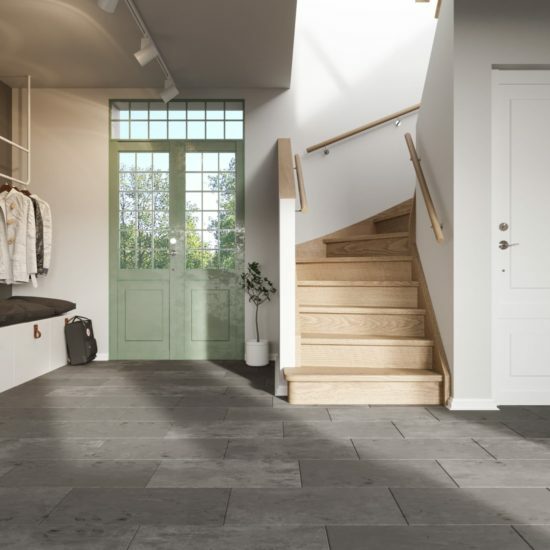 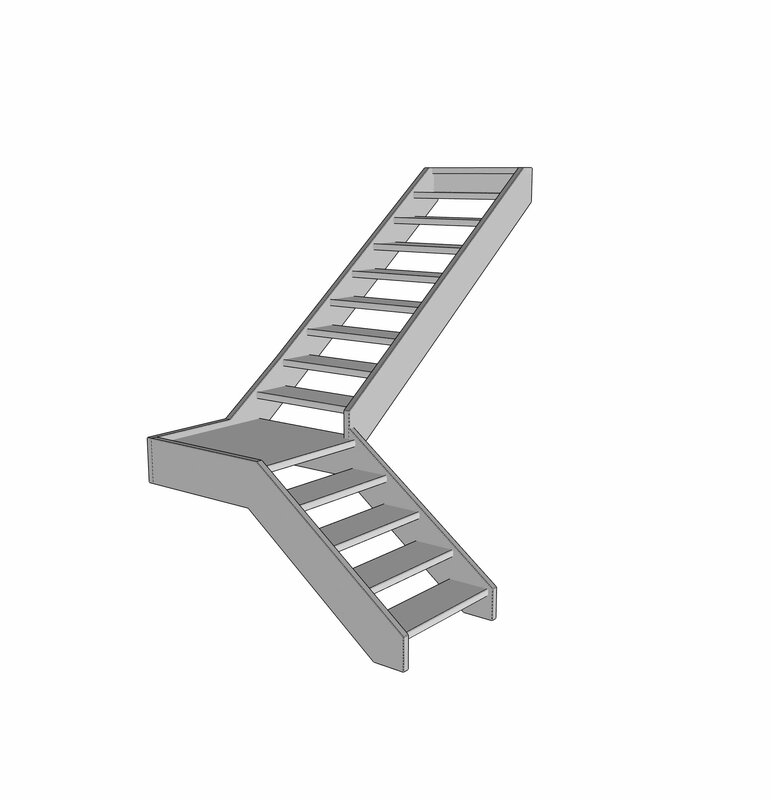 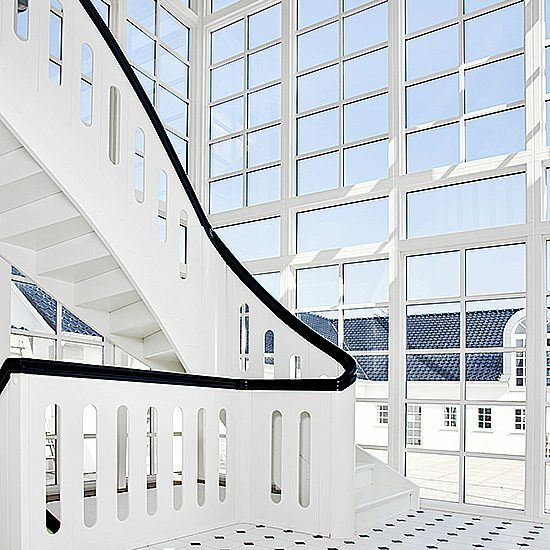 Our indoor staircases comes in four design categories, Base, Premium, Special and Selected. 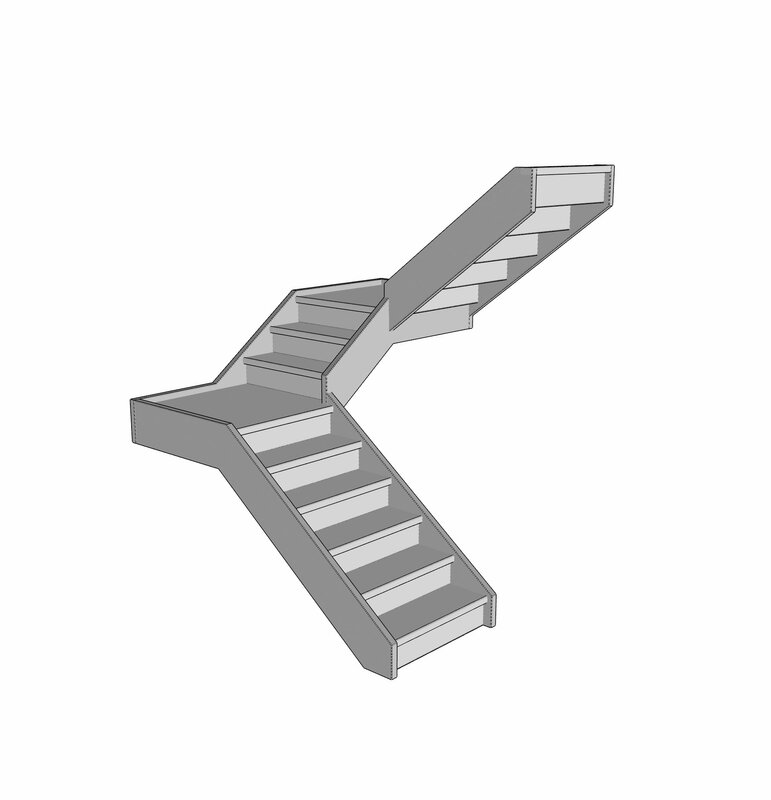 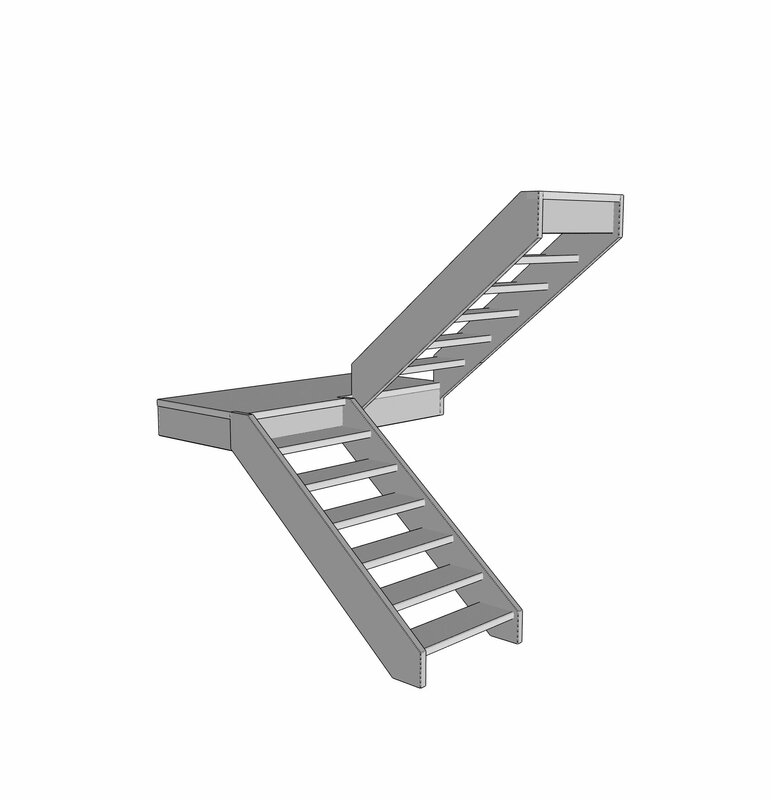 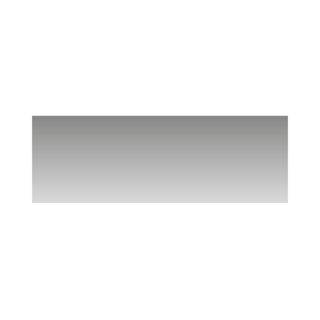 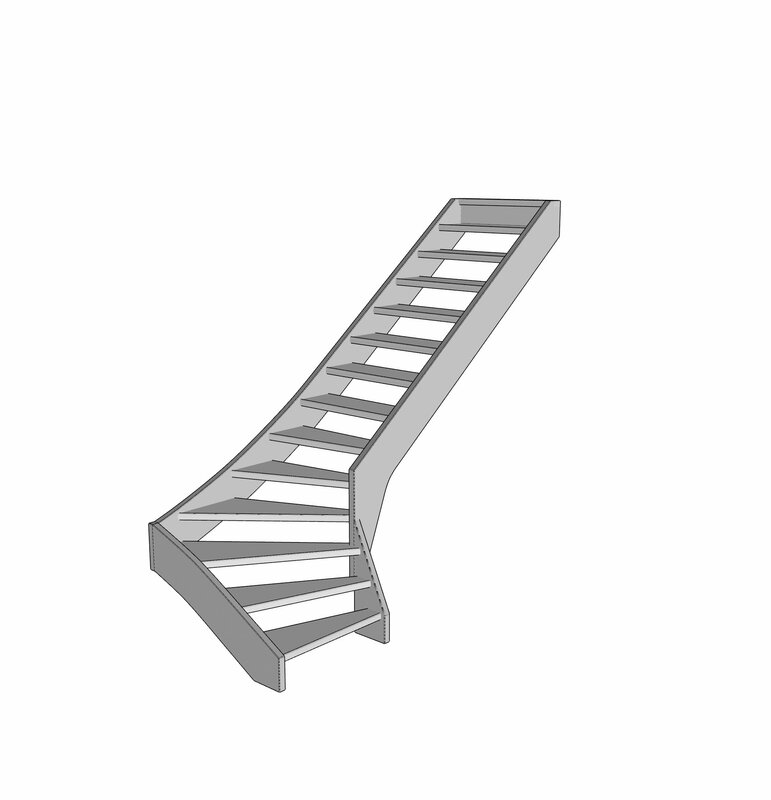 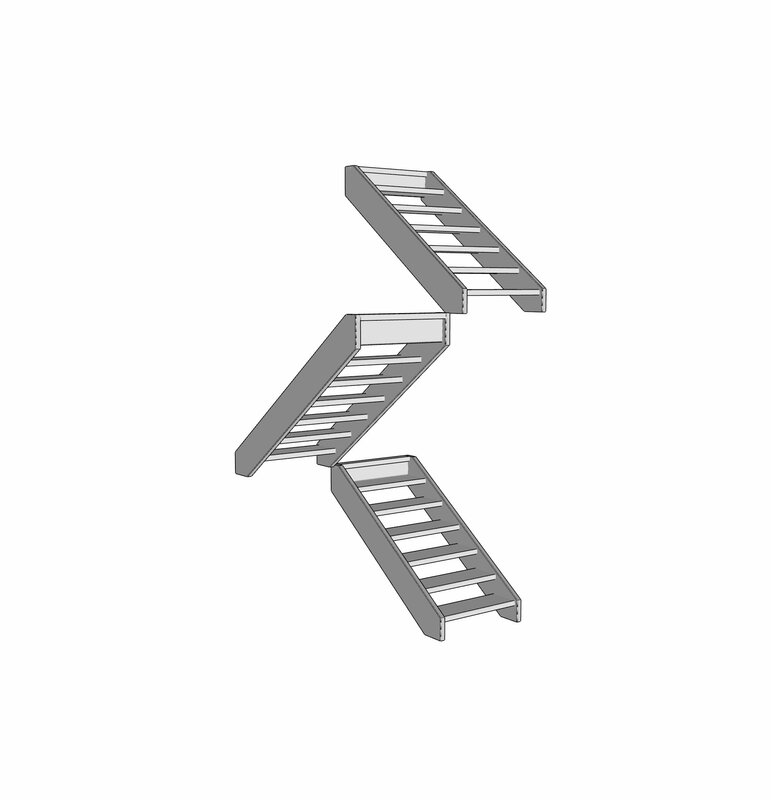 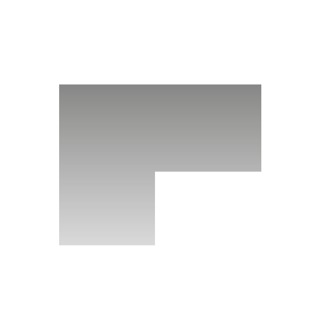 Regardless of which type of stair you choose there is a wide range of options available. 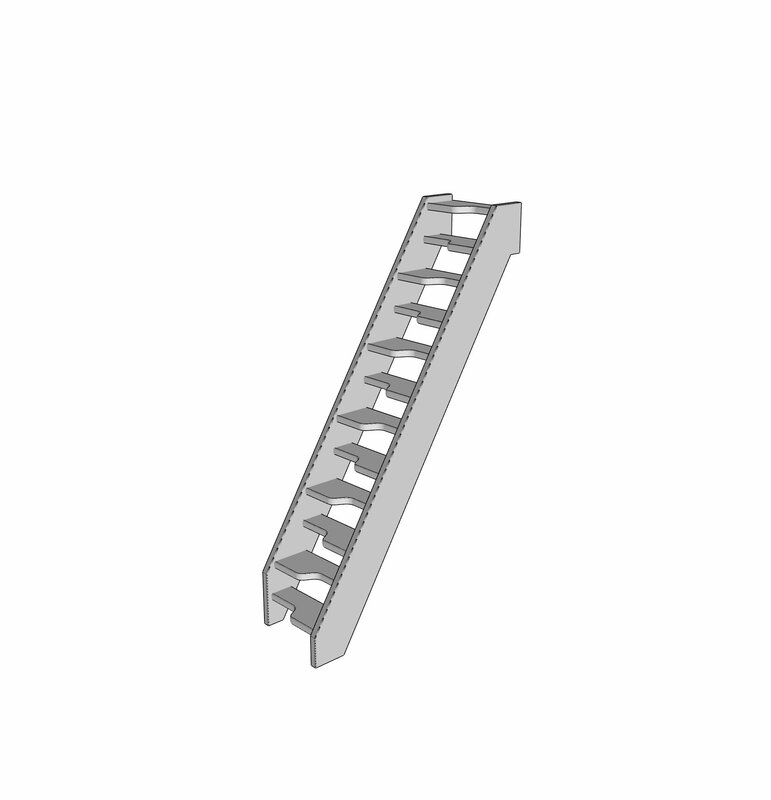 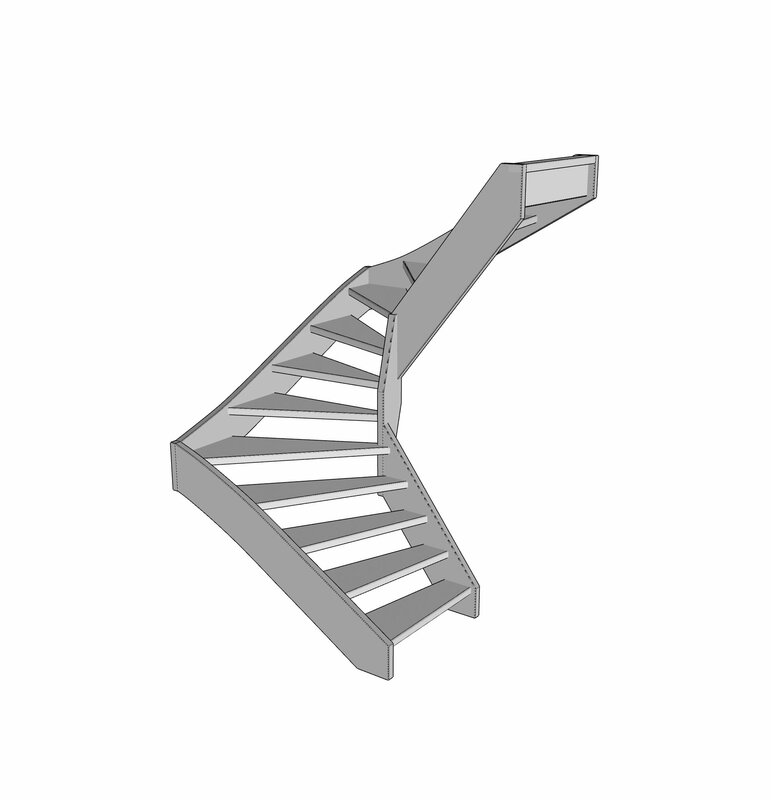 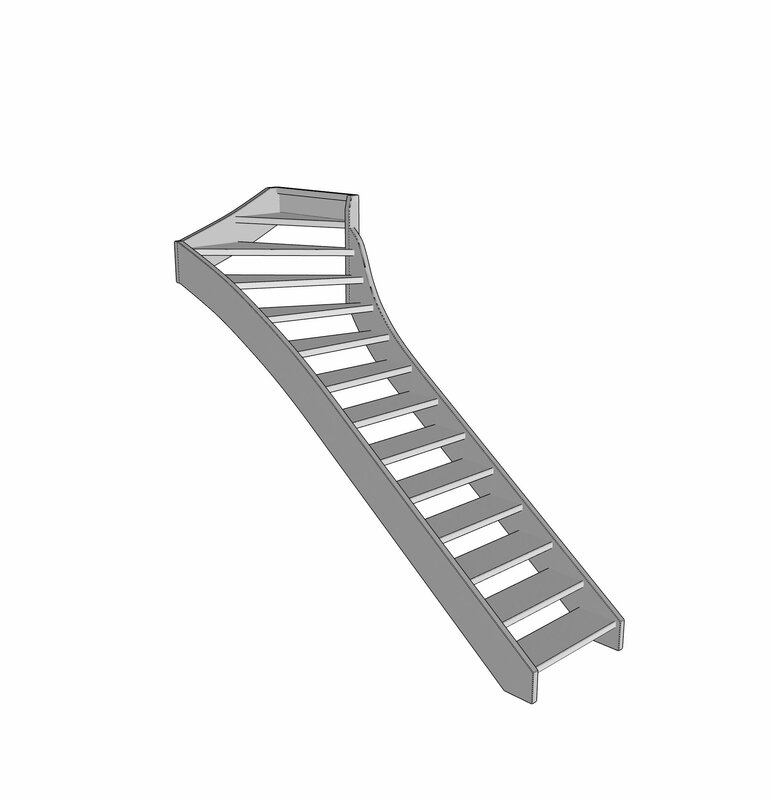 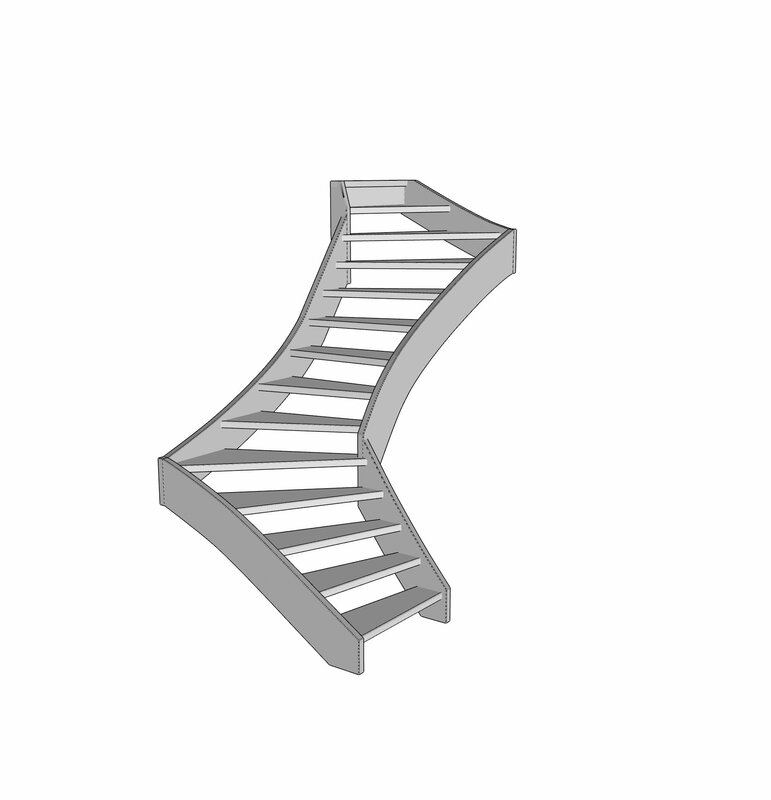 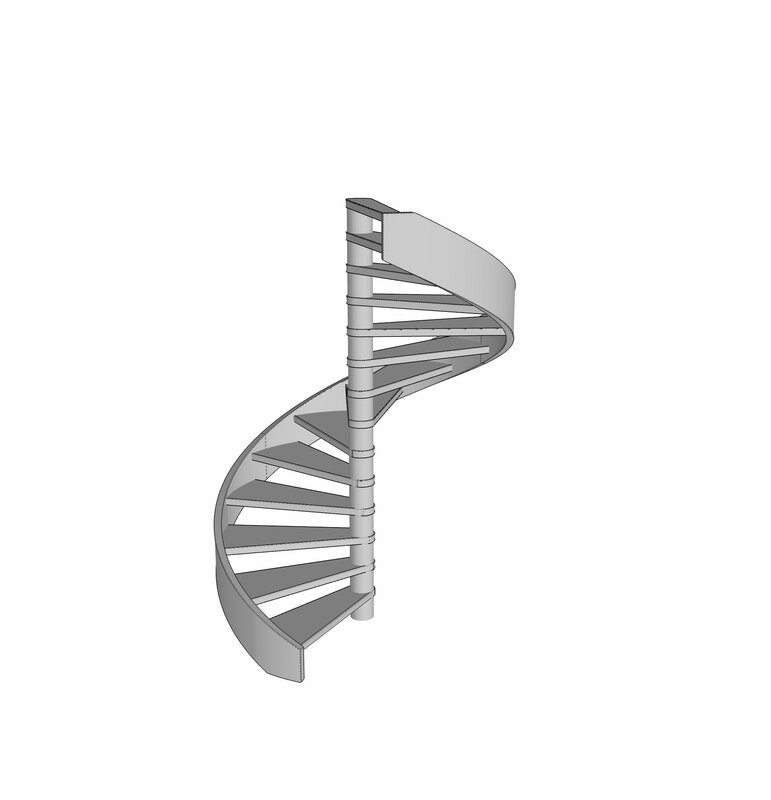 Our assortment of stairs is flexible and gives you the opportunity to create your own design. 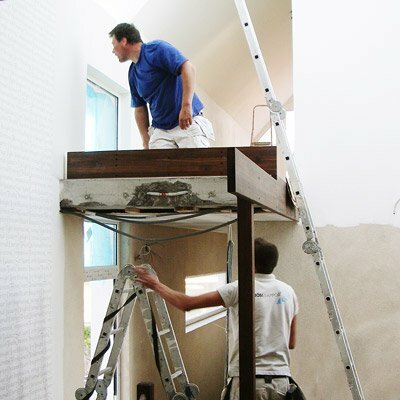 We will always find a solution that fits your home. 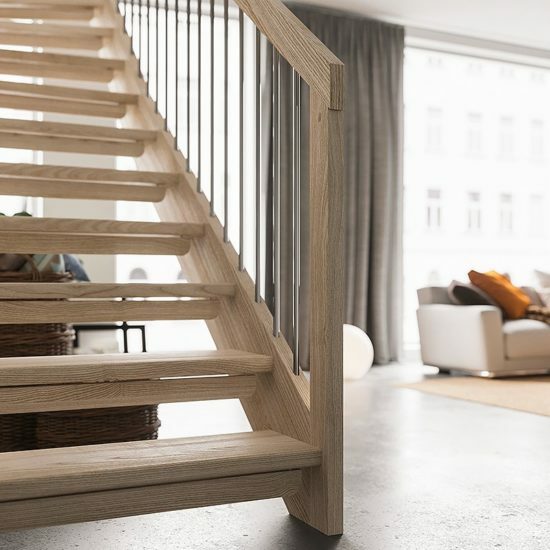 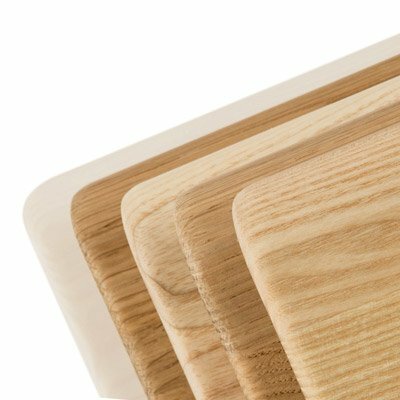 Choose between different forms of stairs, posts, steps, railings, woods and finishes. 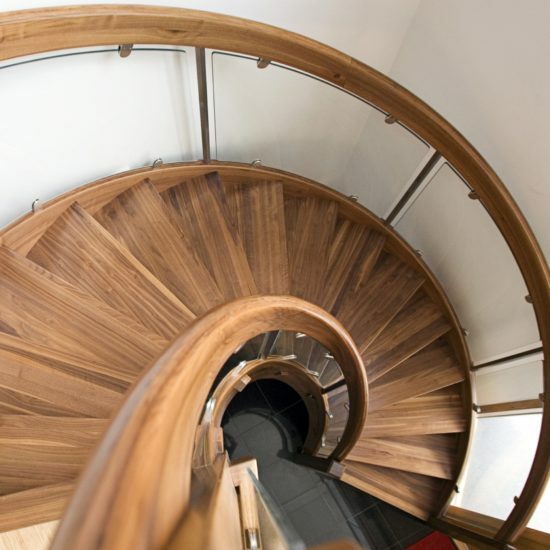 Whatever you decide, you can always feel confident that our staircases meets the highest safety requirements. 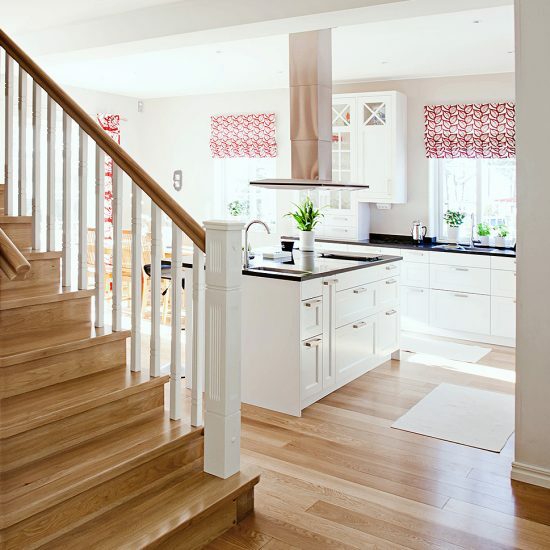 When you have made your design choices and selected your options its time to contact the manufacturer of your house. 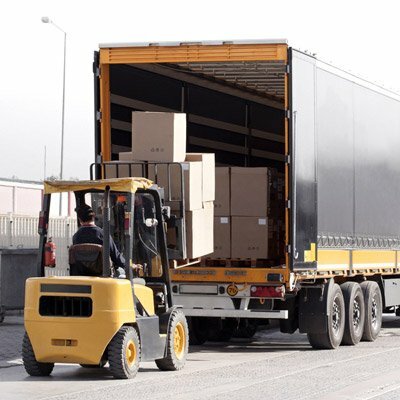 The manufacturer then places the order with us. 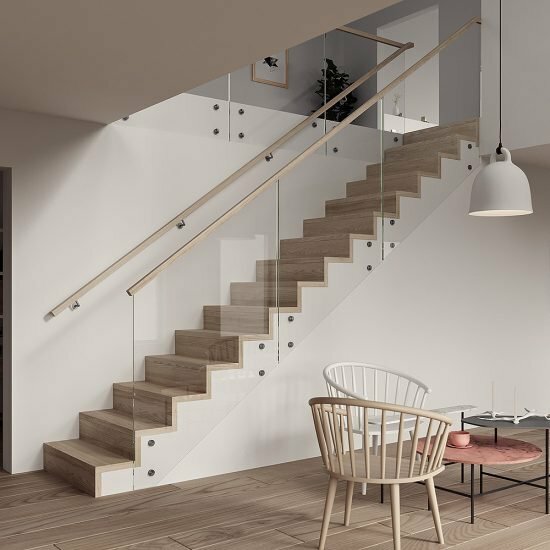 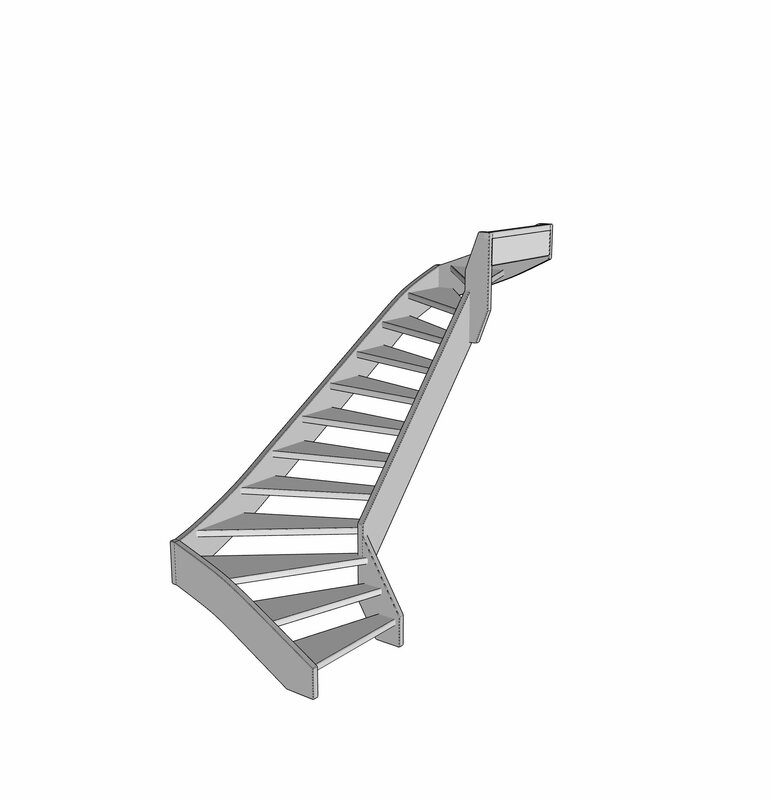 Now its time to build your perfect staircase. 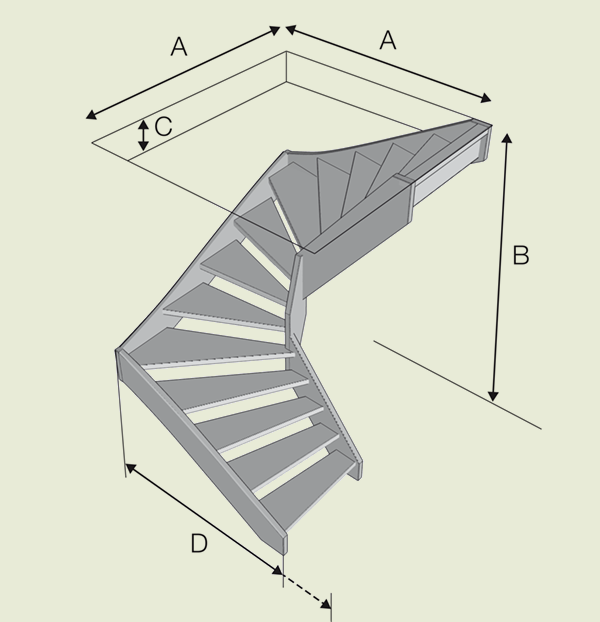 The completed stair will be delivered to you on the agreed upon delivery date. 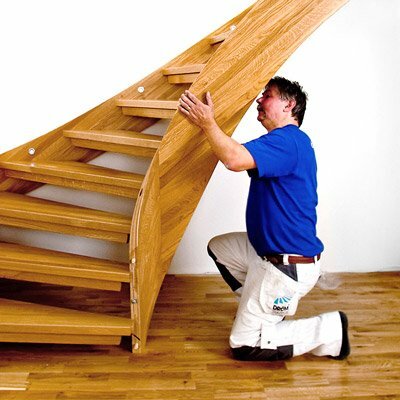 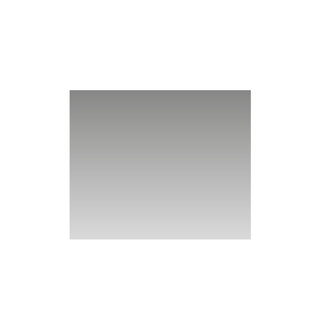 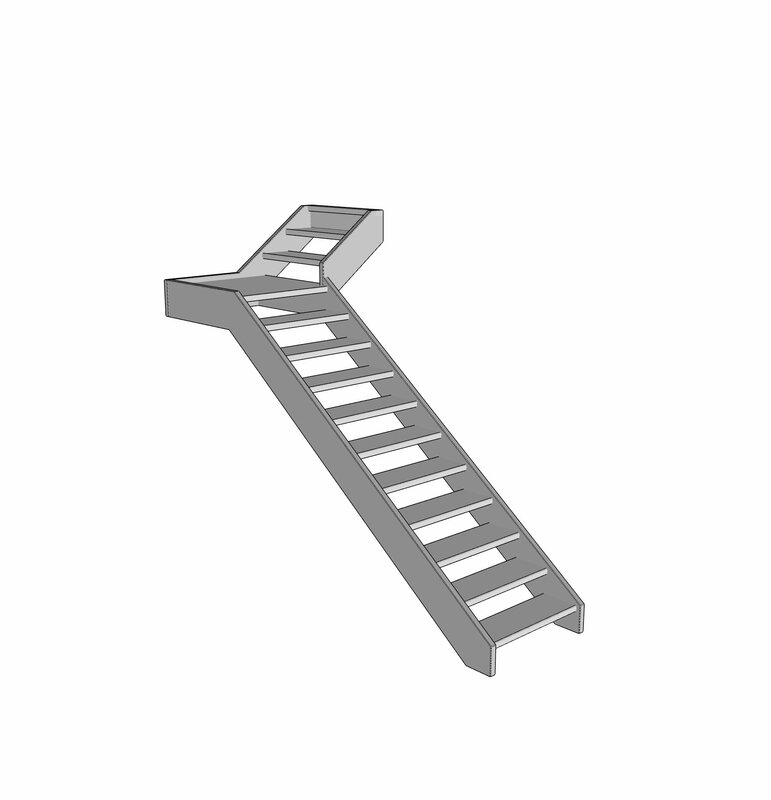 We recommend that you have our professional dealers do the installation of the stairs. 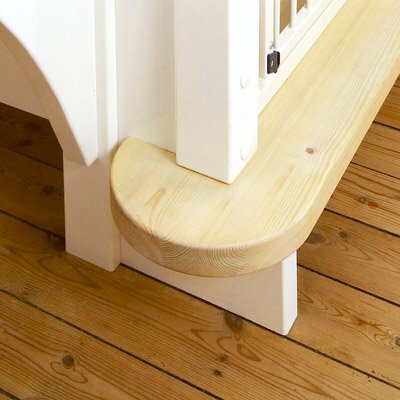 Safe, simple and secure. 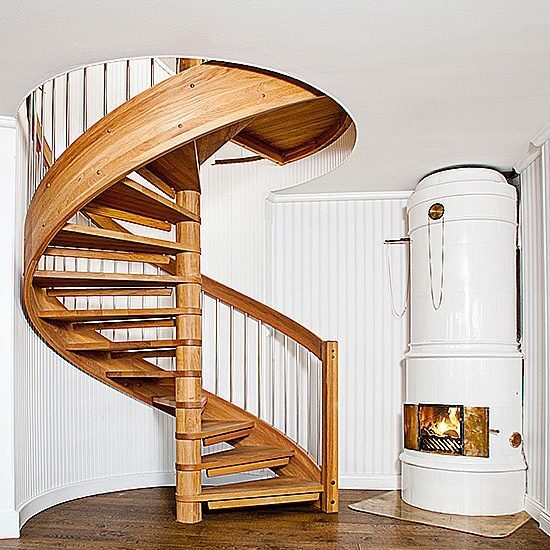 A proper DIY-person could manage the installation by them self. 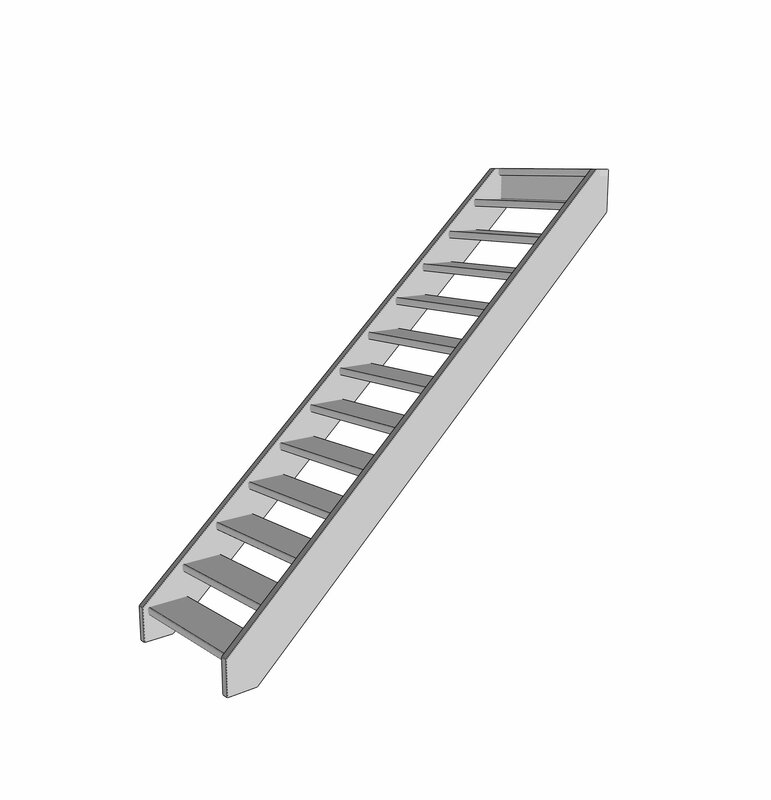 There are detailed instructions available.